How Do I Repoint My Brick Mortar? 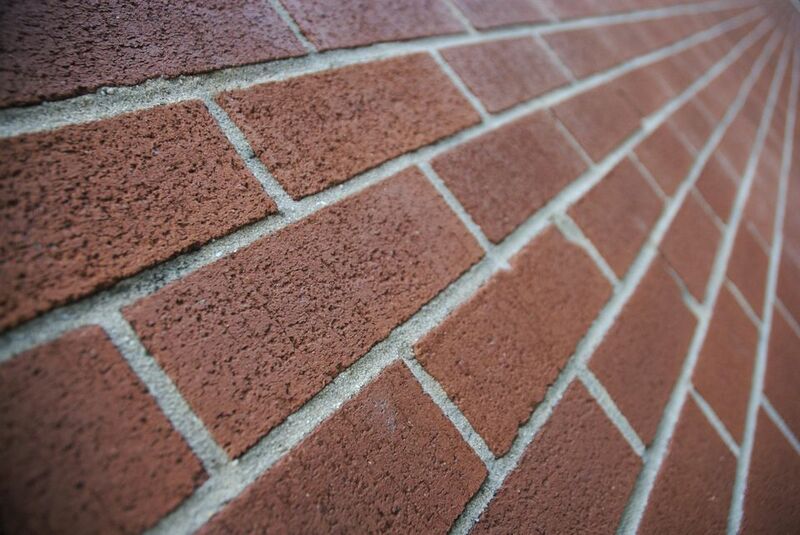 When your brick mortar is cracked, it is more than just ugly. Water can work its way into the cracks, freeze, expand, and separate the cracks even more. Sometimes, the mortar isn't just cracked: it isn't there anymore, having crumbled and fallen out over time. The cheap, traditional way of curing this is to repoint your brick. Repoint is an interesting word because it bears little relationship to this project. Repointing means to chip out the old mortar and replace it with new mortar. The only reason it is called pointing--or repointing, in this case--is because you use a pointed trowel. Masons have specialized terms and this term is called "raking." But what it really means is to scrape out the worst of the mortar, so that you will have a substantial base on which to place the new mortar. Invest in something called a "joint raker" Yes, it is worth the small investment and your screwdrivers will love you for it. Buy online if you have to. Scrape out loose, crumbly mortar with the joint raker. You do not have to remove all mortar, obviously, just the high spots that are loose and weakened. Then, switch to your hammer and chisel and gently pop out any stray pieces that you could not get with the joint scraper. Finish off with a wire brush to get all of the remaining crumbs out. Spray down the bricks and mortar with a garden hose. Let it soak for about 30 minutes. Use your pointing trowel, which is just like it sounds: a trowel with a point on it. Press in the new mortar, matching existing good mortar as much as possible. Here is the caveat: repointing mortar is fun for the first six to eight bricks. After that, it's just plain hard work. Take it slow, set small goals for yourself every day, and set your mind on getting that whole wall done over a course of weeks or months, instead of a weekend.